Dues from corporations shall be secured by such means as may be prescribed by law; Provided that corporators in corporations formed under the laws of this State shall not be individually liable for the debts or liabilities of such corporation. Unless otherwise provided in the articles of incorporation, no stockholder of any corporation formed under the laws of this State is individually liable for the debts or liabilities of the corporation. A purchaser of shares of stock from the corporation is not liable to the corporation or its creditors with respect to the shares, except to pay the consideration for which the shares were authorized to be issued or which was specified in the written subscription agreement. It is interesting to contrast Nevada's constitutional and statutory protection of stockholders with California's reticence on the subject. See Where Exactly Is It Written That Shareholders Aren’t Liable For Corporate Debts? I suspect that many readers of this blog are not familiar with George Wingfield, who was a leading figure in Nevada politics and finance during the early 1900s. He made his fortune in the Tonopah-Goldfield mining strikes. 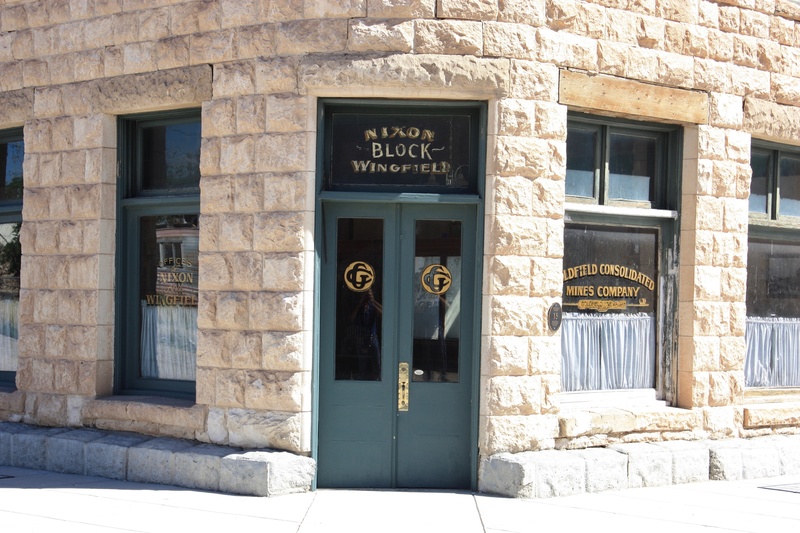 Recently, I visited Goldfield, where I took the photograph below of the former offices of Mr. Wingfield's company. For more on Mr. Wingfield, see C. Elizabeth Raymond's book, George Wingfield: Owner and Operator of Nevada (U. Nev. Press 1992).